This mixed set greatly compliments a range of Bosch drilling and driving power tools. Combination of drilling and countersinking in one operation greatly reduces preparation time for placing flat head screw in wood. 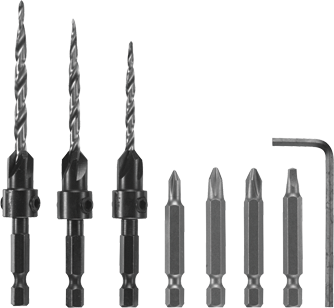 Included screw driving bits provide the means for easy completion of full range of woodworking projects.